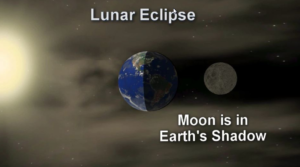 This Sunday night we’ll be treated to a lunar eclipse. 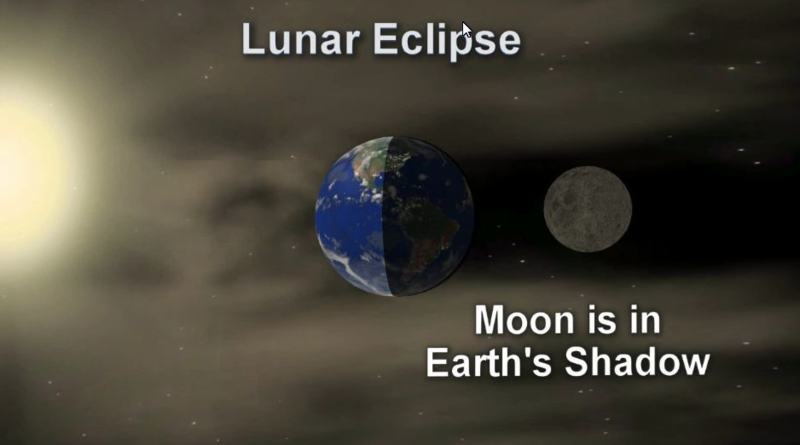 That’s when the earth casts its shadow on the moon. 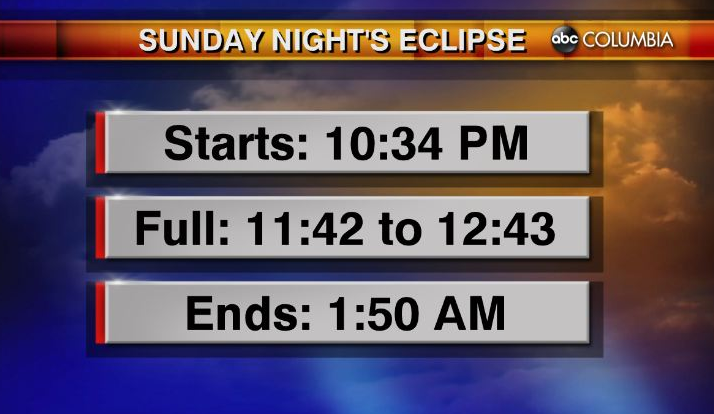 The eclipse will start at 10:34 pm. 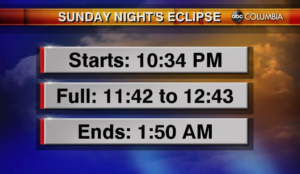 It will be full from 11:42 pm to 12:43 am. It will end at 1:50 am. Viewing will be terrific because there won’t be a cloud in the sky. But it will be windy and cold.